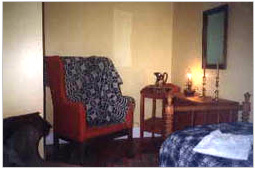 In 1786 Dr. Frederick Stickles, a Loyalist physician from New York, erected his home and office in Gagetown, NB. It sold to Samuel Tilley and then passed to his grandson, Thomas Morgan Tilley, in 1817. Samuel Leonard Tilley, born on May 8, 1818 in the parlour bedroom, became New Brunswick's outstanding Father of Confederation. He served in the Provincial Assembly, was Premier from 1861-1865, held two different Cabinet posts in the Federal Parliaments, was twice Lieutenant-Governor of New Brunswick, and he was knighted by Queen Victoria in 1879. Sir Leonard Tilley died on June 25, 1896, in Saint John, NB, where he had lived since age 13. The Tilley family sold the house in 1884. It was then used as a hotel by the Simpson and Dingee families. Under the ownership of St. John's Anglican Church (1930), and later Lloyd McKinney (1953), the first floor became an apartment. The 1967 Queens County Centennial Project was the purchase and restoration of this historic building. 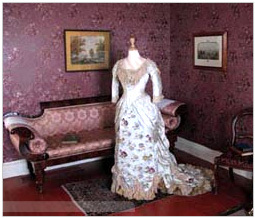 As well as marking Tilley's birthplace, it is a museum dedicated to the preservation of Queens County History. 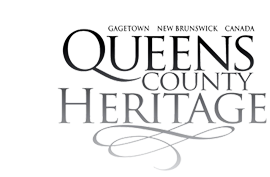 Collections include: Loyalist and Victorian furniture, early doctor's office, the 1818 Tilley birth room, and distinctive collections of Queens County art, Aboriginal artifacts, agricultural implements, military memorabilia, and glassware and ceramics. Don't miss our special permanent exhibitions: Someone Before Us, Unsettled Times, Earth, Wind & Fire, and Mrs. Tilley's Tea Party.